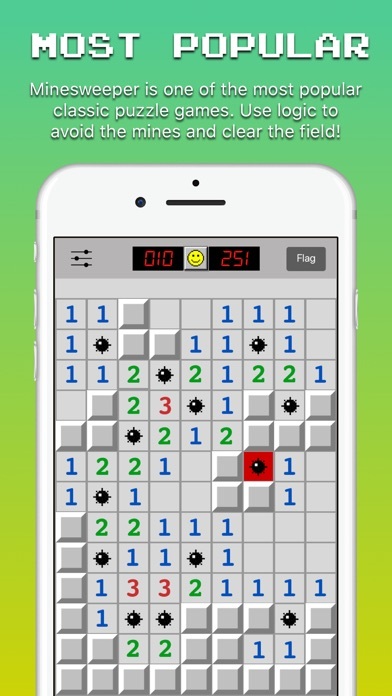 Minesweeper 2 is the sequel to a classic, throwback PC game that provides hours of fun. Let the nostalgia bring you back you the days of playing this game on your computer, only this time it's on your mobile phone! 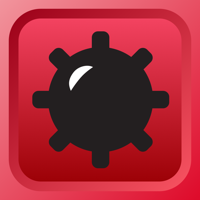 The game is simple, try to avoid the bombs to clear the minefield and win the game! Strategy and logic are needed to navigate the multiple levels of difficulty. If that's not tough enough, take a shot at using the custom board builder for an even more difficult puzzle! 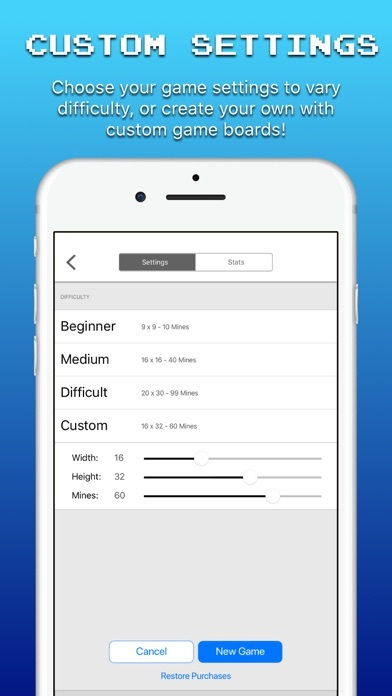 Monitor your progress with the brand new stats tracker to keep tabs on your progress and try to beat your top times! 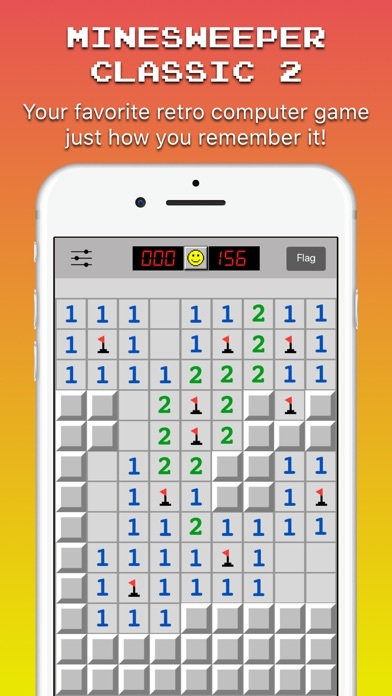 This retro minesweeper game is just like the original and provides great fun for all ages. 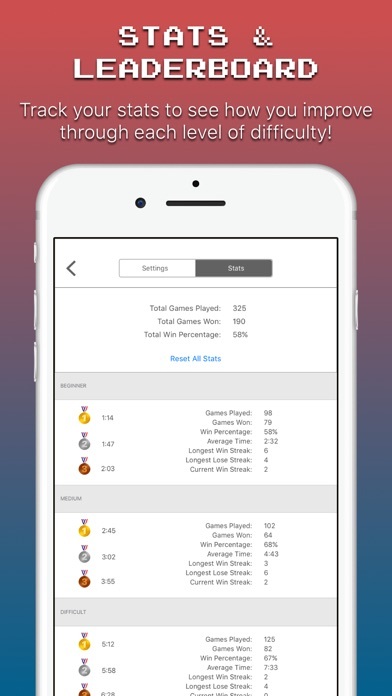 If you like old classic games such as chess, checkers, backgammon, solitaire, freecell as well as classic puzzle games like sudoku, tetris, and crossword puzzles then this game is for you! Every new game is a brand new brainteasing layout to keep you sharp every round! Start with a covered mine field of square tiles and clear the field by tapping one square at a time. But be careful, as underneath some tiles are bombs waiting to be detonated! Beneath each tile is a number (indicates how many mines are touching the tile), a blank space, or a mine waiting to be exploded! Use strategy and logic to navigate the mine map and win the game!